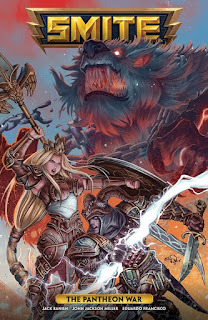 NEGROMANCER 2.0: Dark Horse Comics Announces "SMITE: The Patheon War"
Dark Horse Comics Announces "SMITE: The Patheon War"
MILWAUKIE, OR—Dark Horse proudly announces the newest video game comic book in its long line of best-selling titles with SMITE: The Pantheon War. 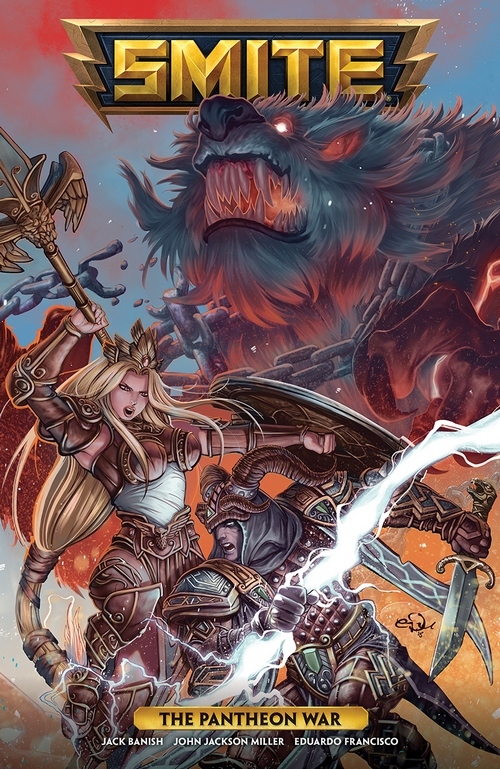 SMITE: The Pantheon War (978-1-50670-233-9 / $14.99) is in stores December 28, 2016. Atlanta-based Hi-Rez Studios was established in 2005 to create exceptional online interactive entertainment, and is now one of the largest video game studios in the Southeast United States. Its games include the squad-based shooter Global Agenda, the critically acclaimed Tribes: Ascend and SMITE, the Battleground of the Gods which has over 14 million players worldwide. Hi-Rez Studios recently launched their first mobile game Jetpack Fighter, a swipe-to-attack high speed platformer with gear progression and is currently developing Paladins, a fantasy FPS with progression using collectible cards. www.HiRezStudios.com.